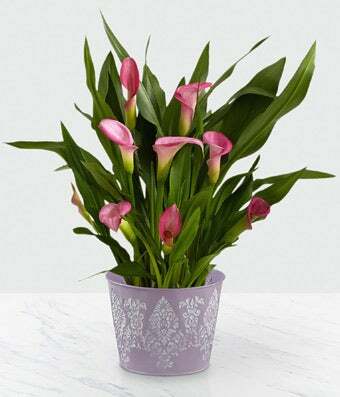 Send this elegant pink calla lily plant to someone special in your life! This hearty plant in its exclusive pink container will add the perfect feminine touch to any room! Care instructions are included.